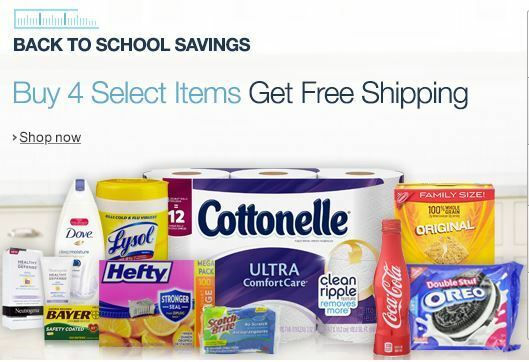 For a limited time, when you purchase 4 select Back to School Essentials in Amazon Prime Pantry, you will get FREE shipping! That’s a $5.99 savings. Plus, if you have any No-Rush Shipping credit, you can use that, too! = $12.78 after coupons + FREE shipping!